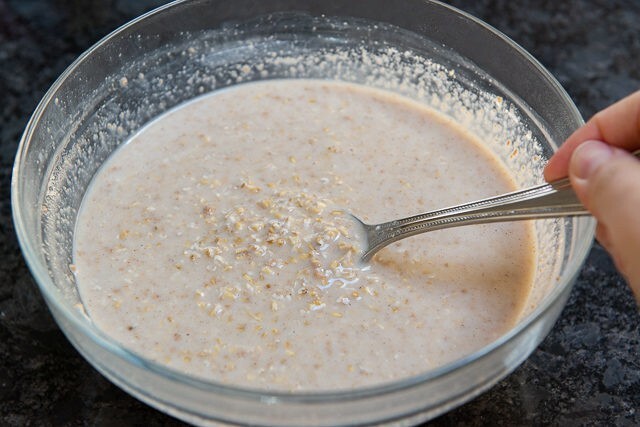 Overnight Steel Cut Oats - Filling, Healthy Breakfast That's Easy to Make! Overnight Steel Cut Oats are a delicious make-ahead breakfast for people who love oatmeal with hearty texture. This recipe is endlessly customizable and convenient for busy mornings! 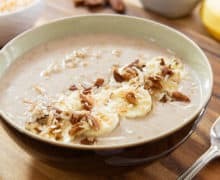 I posted my go-to recipe for Overnight Oats a month ago and promised to do a version using steel cut oats, so here it is! If I had to pick, I actually prefer steel cut oats to the old-fashioned rolled oats that are normally used. The main reason being that I like the texture a lot more. 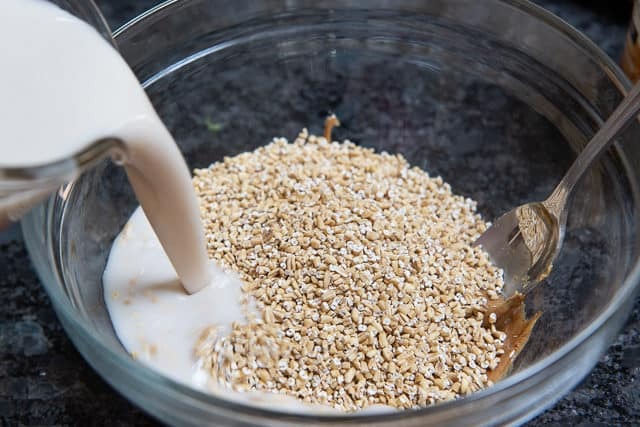 Old-fashioned rolled oats can get soggy if they sit much longer than overnight, whereas I can make a big batch of overnight steel cut oats and keep leftovers for several days. Making overnight oats of any sort is very little work to begin with, but it’s nice to have breakfast done for several days at a time. So if you’ve ever wondered if you can make overnight oats with steel cut oats, the answer is yes! But the soaking time is a bit different, so let’s discuss the process. Pretty much all of these ingredients are optional and just used as flavorings, so feel free to change them as you see fit. For instance, you could swap maple syrup for the honey, or omit sweetener altogether. 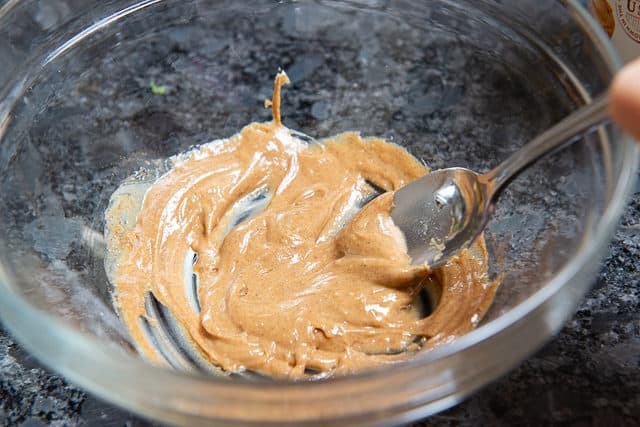 You can also do different types of nut butters, though peanut butter is my absolute favorite to pair with sliced banana as a topping. Any milk is fine, whether it’s cow’s, almond, cashew, oat, rice milk, and more. Cover the bowl and let the oats soak in the fridge for at least 12 hours. I actually find that my sweet spot is more like a day and a half, but you can continue to keep the oats for 3-4 days. It will simply get a little softer each day, though trust me, the steel cut oats will continue to retain some level of texture even after several days. Much like the other recipe I posted, I like a generous amount of milk with the overnight oats, so it’s more like a cereal. 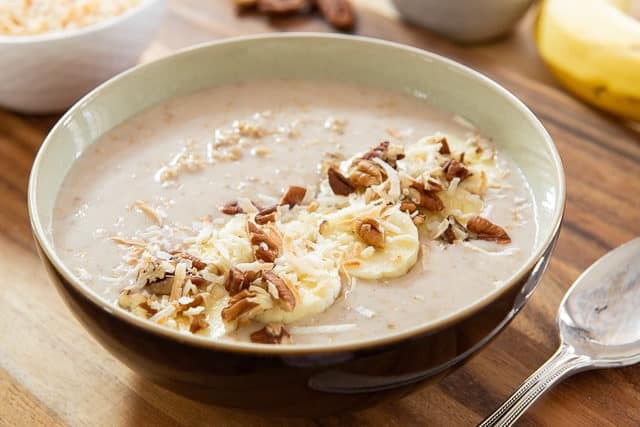 The steel cut oats can be a lot to chew, and there’s plenty of moisture to keep things delicious. Make sure to add some toppings when you serve it, as that’s half the fun! Crepes are another recipe I love for breakfast, and you can make the batter ahead of time. This Sausage Breakfast Casserole is also make-ahead, assembled the night before and simply baked in the morning. Enjoy! 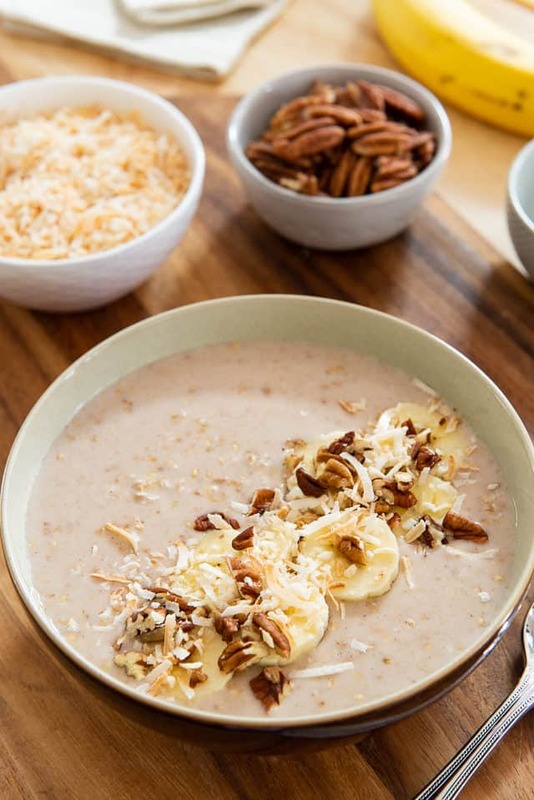 Overnight Steel Cut Oats are endlessly customizable and convenient for busy mornings! Combine the peanut butter, honey, ground cinnamon, and salt in a bowl. 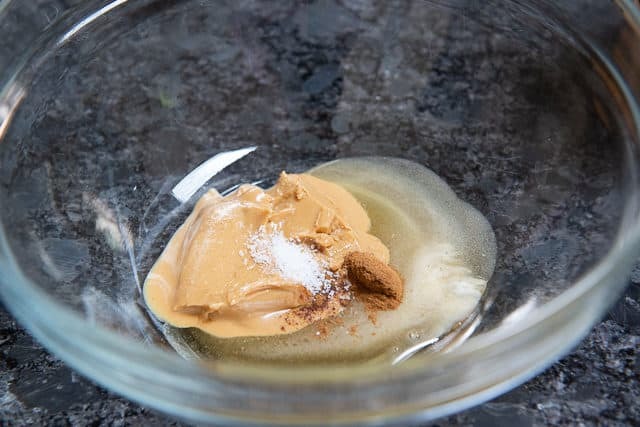 If necessary, microwave for 15-30 seconds to loosen the peanut butter and honey (the raw honey I use is solid at room temperature). 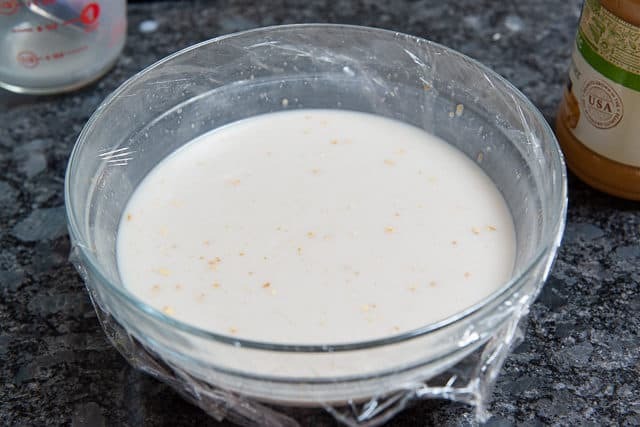 Add the oats and milk, and stir well to distribute the ingredients. Cover and refrigerate for at least 12 hours, and for up to 3-4 days. The steel cut oats will continue to soften as they soak. Serve with desired toppings (see blog post for suggestions), and enjoy! 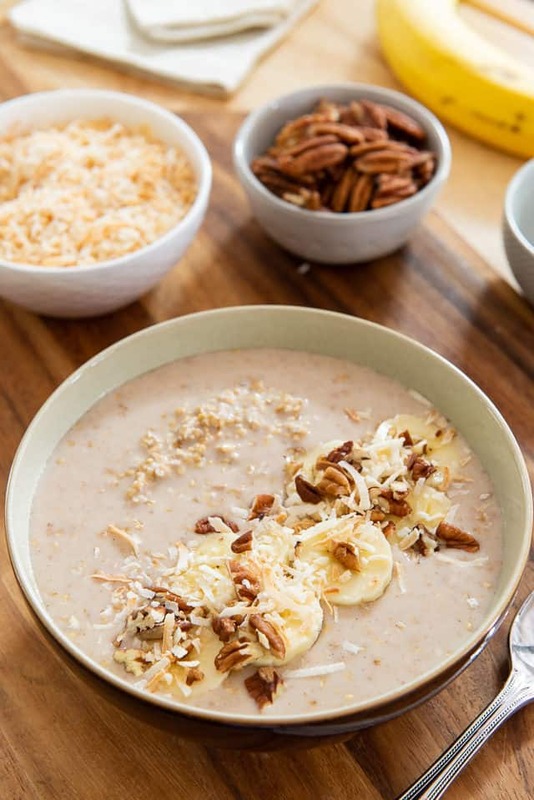 Always wanted to know if I could use steel cut oats for overnight recipes – glad you posted this! If I prefer my oats to be less watery, should I cut back on the 2 cups milk? Or did you add more prior to eating? Thanks! Yes, you only really need 1 cup of milk as a minimum. Enjoy! Is the nutritional info for 3 or 4 servings? Thanks. Looks delicious. Love steel cut oats! It’s always the highlighted and clickable number, which is the 3. If you click on it, the recipe plugin tool I use allows you to change serving size and it will scale the ingredients accordingly.